The first and most obvious thing you need to decide is what to do with your child! If this is your first child (or even your second or third or more), you might find this part quite stressful. Your child is the most important thing to you and you may not feel like you can trust just anyone with this precious person. That is why you don’t want to rush the search for childcare or you might end up feeling pressured to use a place that you aren’t comfortable with. If you plan to use daycare, put your name down early as, in some parts of Australia, the waitlists can be incredibly long. If you are planning to use a nanny or an au pair, start by going to a reputable au pair agency to discuss your needs. If you choose a good agency, they should be able to listen to what you wish to get from an au pair or nanny and be able to match the perfect fit with you. 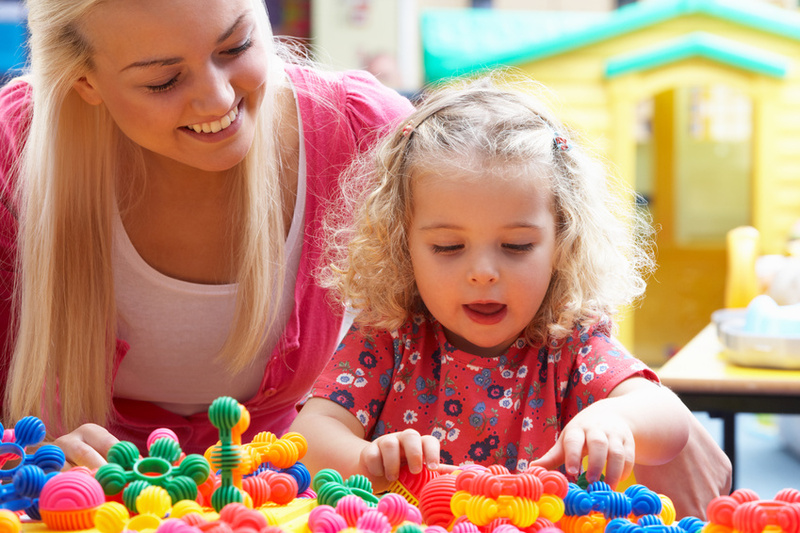 If you give yourself enough time to go through this process, you’ll feel more comfortable with your choice and it will give you – and your child – time to get to know the nanny. If you aren’t the planning type, now is the time to try to change that as planning ahead is a lifesaver for working parents. For example, who wants to be worrying about what food you have in the house and what healthy meal you can make for your family after a long day of work? You’ll be tired, and missing your children, so anything you can do in advance will make the evenings easier. Start by creating three weeks’ worth of meal plans and simply rotate them. If possible, cook a few meals in advance over the weekend and leave them in the fridge or freezer to have on weeknights. That way when you get home, you simply heat up a pre-made healthy meal for the family. Another good weekend job is to plan your work outfits in advance. Have them washed, pressed and ready to go so you don’t spend your mornings frantically looking for something clean to wear. Another bonus to having an au pair is that you don’t have to worry about getting the children dressed and ready for daycare each morning, you just sort yourself out and go! This point is for the breastfeeders: If you are still breastfeeding when you return to work you’ll need to prepare all of the equipment required in advance. Breast pumps, bottles, sterilisers etc. It also helps to start expressing before you go back to work and do a few practice runs with the baby to make sure she will take the bottle when you aren’t there. Don’t fret if she refuses to take it at the start, some baby’s just need time to get used to the new way of feeding. Take some time to visit your workplace before you start back. Have a chat to your colleagues and boss and catch up on what’s been happening since you left. Have there been any major changes to the team structure? Are the clients and accounts the same? Finding out how things are working now will save you from being blindsided by any surprise changes on your first day back. It’s also a good chance to make sure you’re all on the same page about the role you are returning to and your exact start date. Getting up and out of the house may end up taking longer and being harder than you expect. Once your au pair has started, do a couple of practise run days. Wake up, get ready, and commute as though it’s a real work day and see if you can iron out any problems that crop up before you actually start. It will make you far less stressed when it’s really time to go back to work and the practise time away from baby will help too. While you are out and baby free, why don’t you take yourself for a relaxing haircut and do some clothes shopping. It’s quite likely your body shape will have changed a lot since the last time you were in the office so you may need to update the wardrobe! If at all possible, start back on a Wednesday or even later in the week. Don’t try to do a full week straight off the bat as it could be too overwhelming for both you and the baby. Even better, see if you can do short days for the first week or two until you are feeling settled enough to get back to full time. This won’t be possible for all workplaces, but it is worth asking. Jillian Beilby is the owner and operator of Select Au Pairs & Nannies, which she established in 1996. Jillian has had 21 years of experience in successfully matching au pairs with families across Australia.